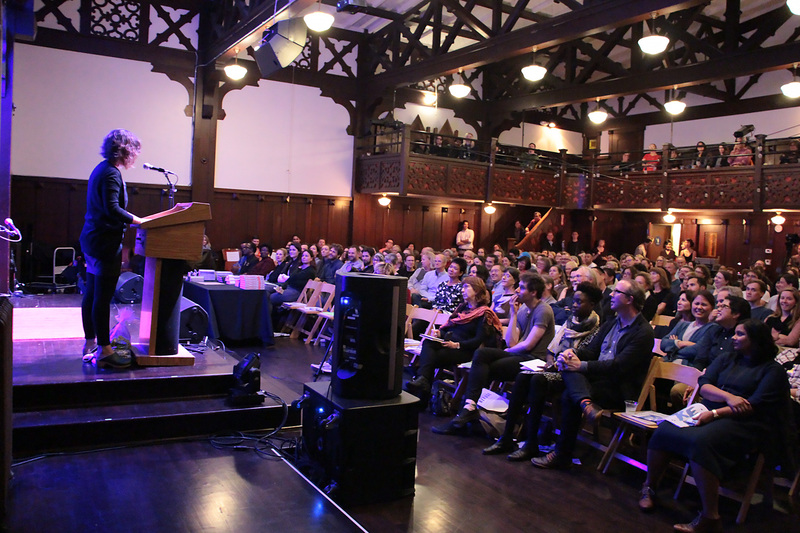 An unlikely pair of very American sandwiches, a Reuben and a PB&J, ushered in an evening of eloquently told tales illuminating many facets of Refuge at The Swedish American Hall on October 19. 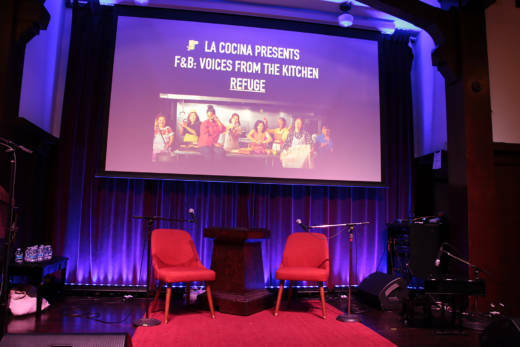 La Cocina’s latest storytelling performance of F&B: Voices from the Kitchen, featured impassioned words and searing images from more than a dozen writers, filmmakers, chefs and graduates of its incubator program. 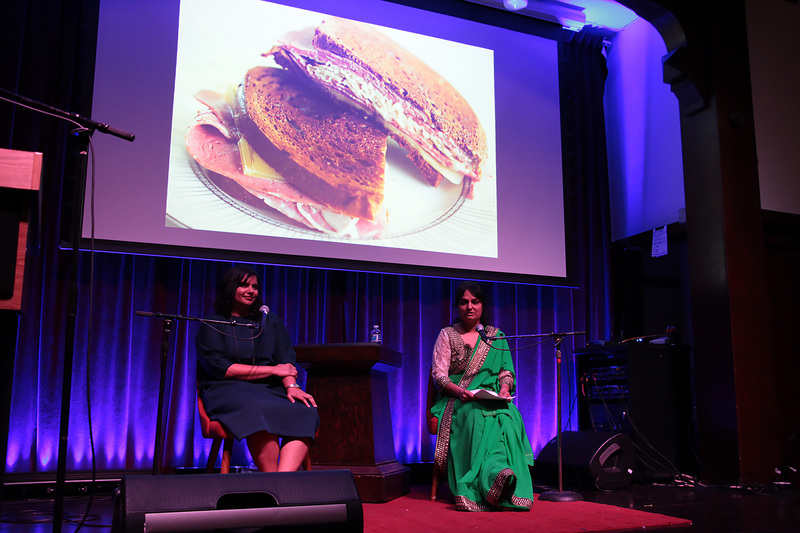 To Heena Patel, an immigrant from Gujarat India who came to the U.S. 25 years ago, permanent refuge in America became possible thanks to a Reuben sandwich. 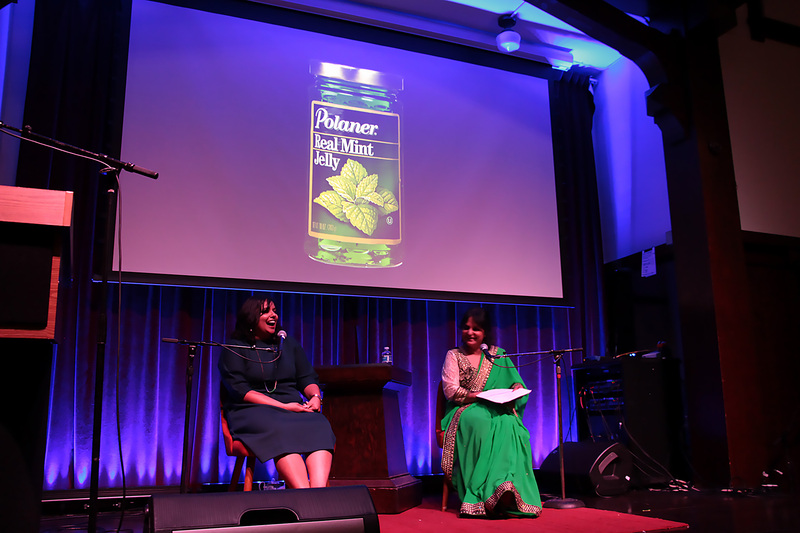 She and her husband initially owned a flower shop and a liquor store. Even though she already worked 12 hours a day, when a neighbor inquired if she would manage his restaurant, she accepted, as it represented a pathway to citizenship. The only snag was that the menu of Hofbrau, the restaurant in question, consisted almost entirely of meat. And meat was something the vegetarian Patel had never even tasted. Nevertheless, this determined woman mastered the art of making the perfect hot corned beef, Swiss cheese and sauerkraut sandwich. On the proudest day of her life, when she became an American citizen, she told us she offered her thanks to “Reuben” who made it all possible. With support from La Cocina, she has now created her own business, Rasoi, cooking vegetarian Gujarati Indian dishes for the Ferry Building Farmers Market. But she dreams of a future food truck and restaurant; dreams, she admitted, that are full of stars (Michelin stars, that is). 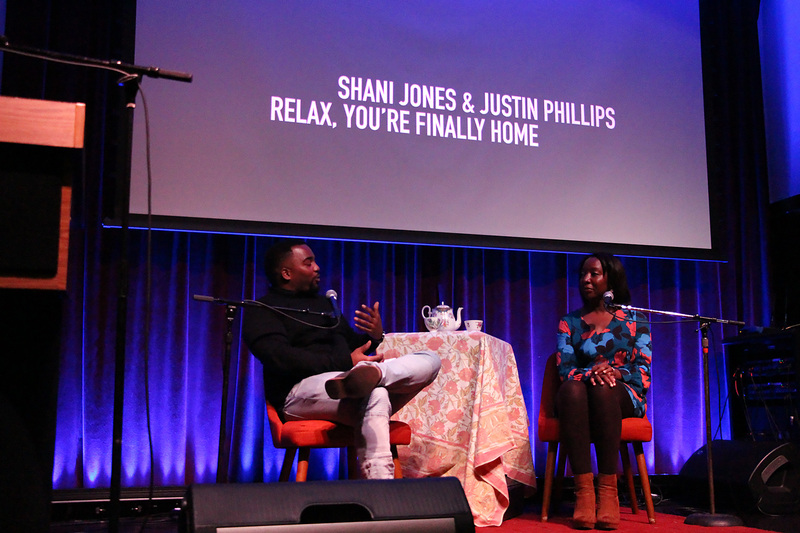 Many of the evening’s stories shared tales of triumph. 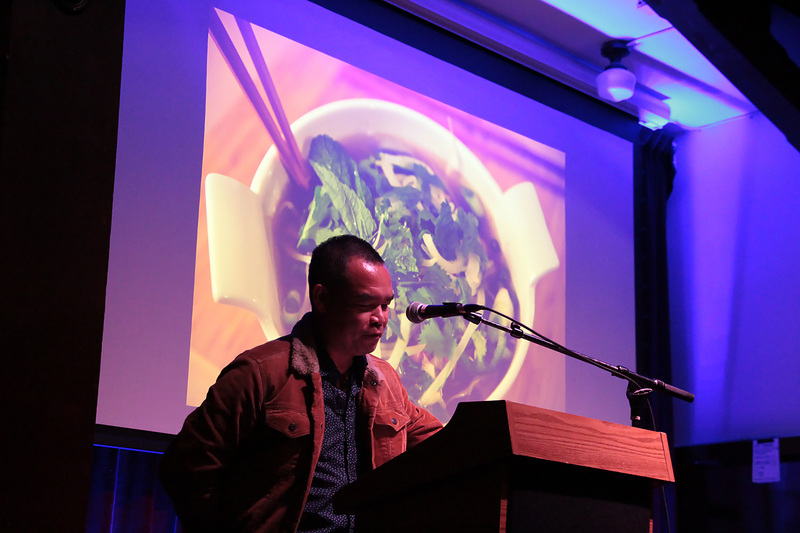 Award-winning author Andrew Lam delivered an ode to the resilience of pho, the noodle soup with the aromatic broth from his native Vietnam, which has spread out in a seemingly unstoppable diaspora to every corner of the world. 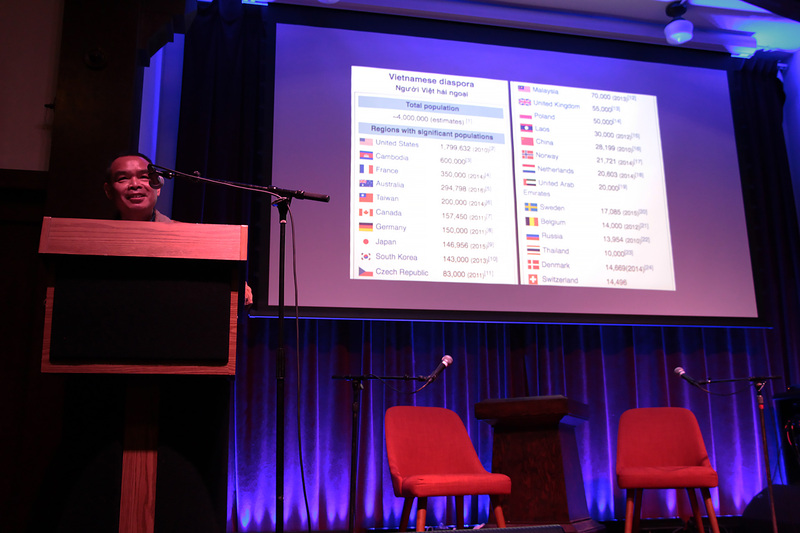 It’s a “global pho-nomenon,” quipped Lam, who came to America at the age of 11, at the end of the Vietnam War. The Vietnamese soup’s exact origins are somewhat clouded. But what’s clear is that its beef broth is perfumed with spices representing a mélange of foreign flavors, including Chinese and French ingredients, and is a testament to the resilience of its people. Pho, Lam informed us, is undoubtedly Vietnamese because it incorporates foreign influences – like its country, whose history includes being conquered by various foreign powers. People adapt to survive but retain their distinctive Vietnamese identity, as does pho. Since expulsion from their homeland, Vietnamese people and their beloved soup have been flung across the globe. Pho can now be found in the furthest corners of the planet, from Antarctica to Ile de la Reunion, lovingly made by Vietnamese refugees who cannot imagine life without its comfort. The humble bowl of soup that represented their national treasure now appeals to their hope for posterity. While the people of Vietnam have scattered, Lam takes comfort in knowing something from his homeland has survived and the delectable aroma of broth with its pungent notes of cardamom, cinnamon, ginger and star anise is permeating the world. 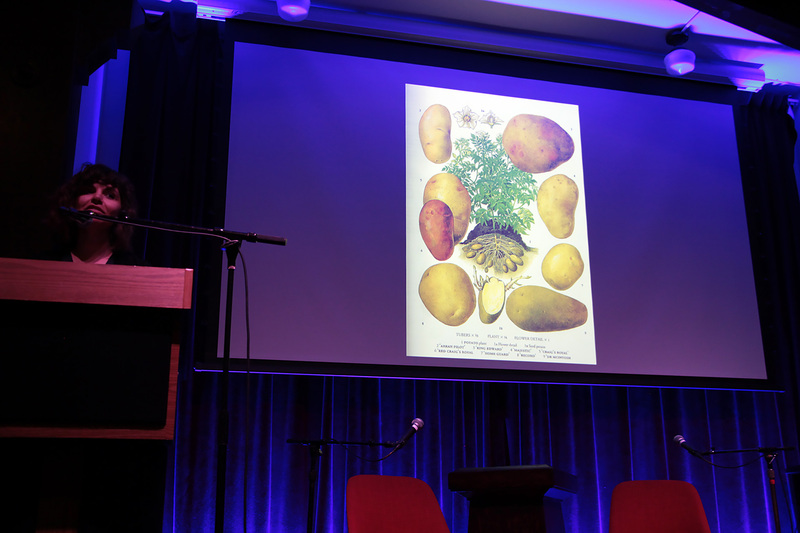 Savanna Ferguson shared the story of immigrants, both human and vegetal; specifically how the humble potato saved and almost doomed Ireland. Potatoes were not native to Ireland. The tuber, originally from Peru, was introduced to Ireland in the late 16th century, at a time when food shortages were common. The potato quickly made itself at home in chilly Irish weather and rocky land. It was the perfect food: easy to grow, easy to harvest and easy to cook. And because it was almost nutritionally complete, the Irish populace thrived for generations. And then, in 1845, “potato blight” came to Ireland, its rot turning the tuber to mush. For five years, crops failed, killing one million people and forcing two million to emigrate. One million Irish immigrants came to the to U.S. to find refuge and changed our country forever. In these days of heated debate over immigration, it is instructive to recall how much Irish immigrants were hated, prohibited from working, and described as” less than human.” These phrases seems depressingly familiar. Today, 10% of our country (34 million Americans) can trace Irish roots. 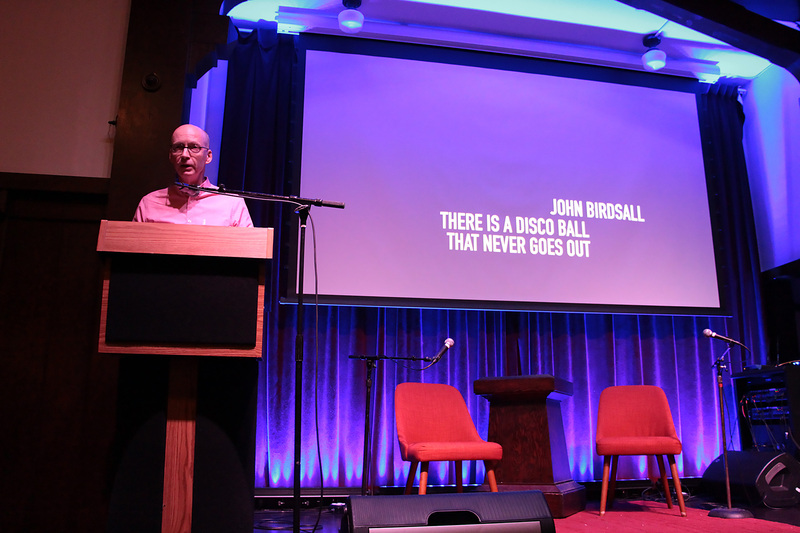 For Birdsall, his own travel stories “meant moving in a shadow world” of gay-owned B&B’s, frequenting bars and clubs in “gayberhoods” and queer enclaves – places that would supposedly shield their patrons from violence. But from the horrifying genocide of gays in Nazi Germany to the massacre at Pulse Night Club in 2016, it is clear that these supposedly protected zones of refuge cannot, in fact, promise safety. 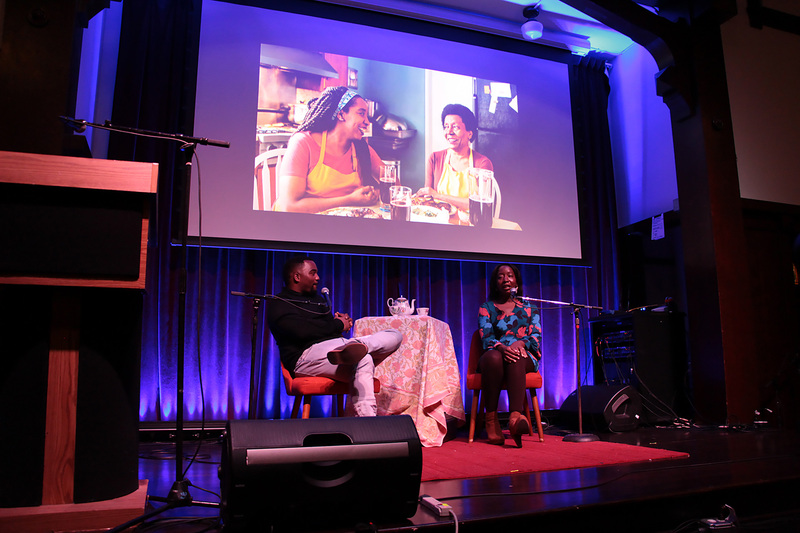 The evening included dance and song performances plus short films interspersed between speakers. 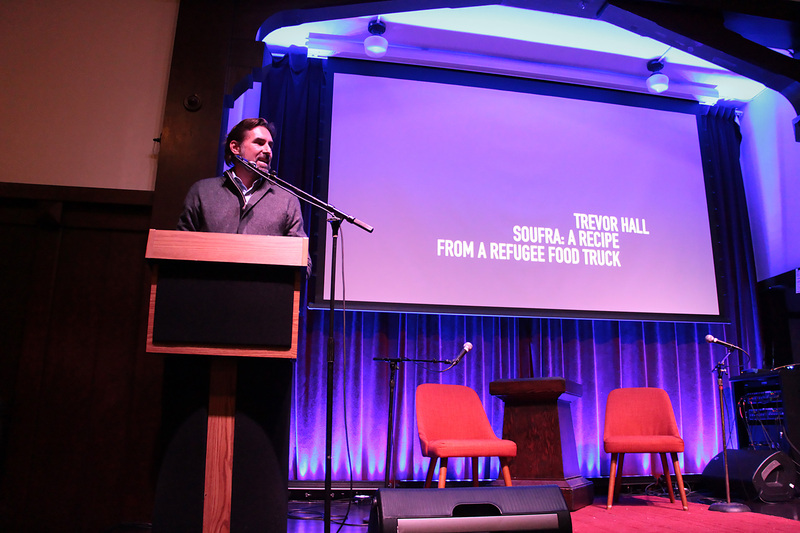 The most powerful example of the connection between food and refuge came in film clips from an upcoming documentary called: Soufra: A Recipe from a Refugee Food Truck, presented by producer Trevor Hall. He described Burj el-Barajneh refugee camp outside Beirut, Lebanon, where 50,000 people are crowded into narrow alleys and seven-story buildings within a one square kilometer space. 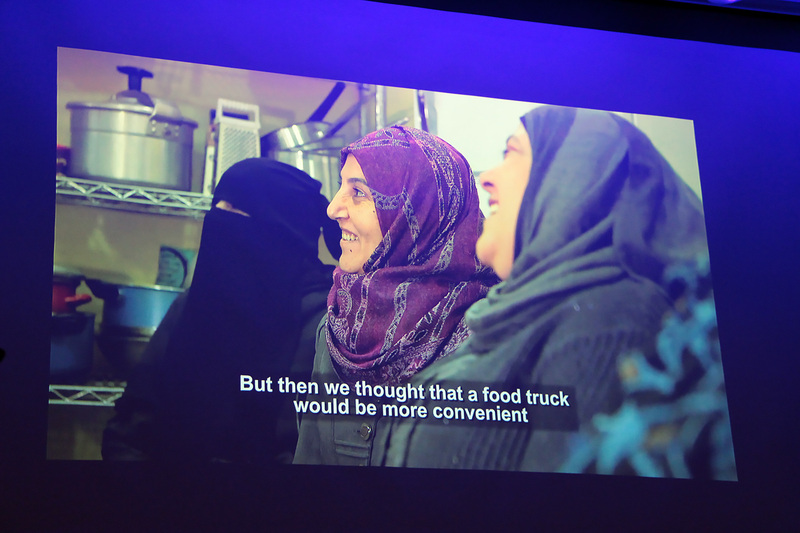 In clips from the film, we see women in colorful hijabs chopping vegetables, chatting, cooking and laughing. What is not immediately apparent is their status as “prisoners,” since they lack the financial and political means to leave the camp. In another clip, we meet Mariam al Shaar, an entrepreneur who was born and has lived her whole life in Burj el-Barajneh. Yet Al Shaar is determined to harness the energy, resourcefulness and creativity of the women of the camp through their food. She is a social entrepreneur with a vision and a plan to uplift the lives of the women through cooking and selling their food. Since the women come from various backgrounds, Palestinian, Syrian, Egyptian and Iraqi, the process includes them teaching each other classic dishes from their cultures. The story of Mariam al Shaar illustrates the power of food to bring people together, empower them and create refuge where there is none. This documentary feature film will be coming out in November.